The Locklear Clinic is unique for several reasons, with one the foremost being our cutting-edge technology and focus on upper cervical care. Our chiropractor Dr. Ben Locklear is one of only about 2,000 chiropractors across the globe that offer such care, and, despite other chiropractors urging him to more his practice to a larger city, Mangum is where he intends to stay. Despite our advanced technology, our Mangum chiropractic clinic retains its small-town, welcoming feel. Dr. Ben and his wife, Karen Locklear, make sure of that. Both are originally from the area and remain committed to serving the region they call home. As we have found out, if people want our cutting-edge technology, they come from miles around; a map in our clinic proves it, with pins illustrating how far and wide patients have traveled for Dr. Ben's services. A trip for Dr. Ben's care is well worth the distance traveled, as cervical adjustments can help a wide range of conditions. Dr. Ben and other chiropractors have used the technique to treat chronic neck pain, sciatica, back pain, as well as other conditions caused or exacerbated by a cervical vertebrae misalignment. The technique has been helpful for ear infections, asthma relief and weight loss. 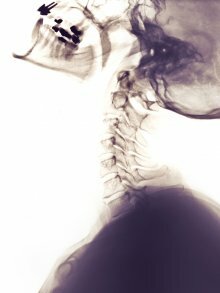 Although weight loss and other conditions might not seem like they could benefit from a cervical adjustment, misaligned cervical vertebrae are detrimental not only to posture and the spine, but also to the brain. Our upper cervical care restores the body balance necessary for the body and brain to properly communicate. When that communication is disrupted, a host of conditions can erupt or existing conditions can be made worse. Rebalancing the body consists of ensuring the atlas and axis vertebrae, the two topmost cervical vertebrae directly beneath the head, are properly aligned. Trillions of nerve fibers extend from the brain stem through the atlas vertebra, traveling down to the rest of the body, and proper alignment of the atlas ensures they can properly send the necessary signals. Our mission at The Locklear Clinic is to help people improve their quality of life through upper cervical care and the other services we offer. We also provide spinal and postural screenings, corrective exercises and nutritional counseling. Whole food nutrition, a balanced diet and insuring a body receives the necessary nutrients can help with weight loss or maintaining a healthy weight and Dr. Ben can help create an eating plan that suits an individual's gender, age, health, activity level and lifestyle. We are also committed to teaching holistic methods of healthcare that take the whole body into account, focusing on wellness and preventive care rather than waiting for maladies to develop. Staying healthy is a key to staying happy, and we here at the Locklear Clinic want both for our patients. Call us at (580) 782-3141 to schedule an appointment today!